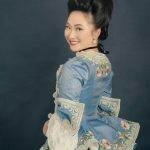 Christine Yoo Millar meets the prolific costumier Gwen Russell in New York who is best-known for being part of the team that dressed Michelle Pfeiffer in Dangerous Liaisons. “Russell and her partner Janette Haslam were in the Oscar-winning costume teams behind both Dangerous Liaisons and Kenneth Brannagh’s Henry V. Her other movies include Interview with the Vampire, Wings of a Dove, Frankenstein, Rob Roy and Wuthering Heights. 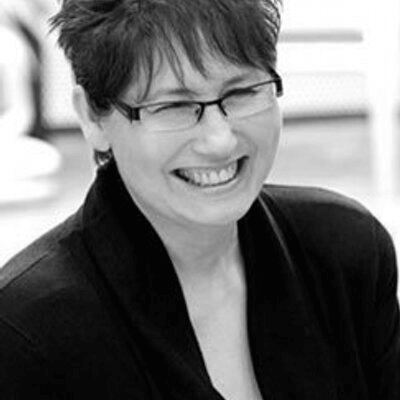 Today, Gwen works mainly in film, opera, ballet and West End musicals all over the world. Gwen also creates bridal gowns with a period flavour at Gwen Russell Couture. Why has Dangerous Liaisons led the way in film costume? Can you talk a little about the construction of these gowns? “At the first meeting with the designer, Jim Acheson, we were given silhouette shapes and decoration details from paintings. We discussed each design and the fabric choices and then in the studio we worked out how best to create the required shape. We then created calico toilles, and the designer would come again and finalise the design. 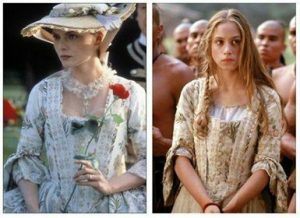 Those dresses look so historically accurate! Are they period correct on the inside too? Do they really pin closed? Did you line them with linen? “When you are working on a movie the designer will want as much hand finishing as possible due to closeups. We use more hand finishing in films than on the stage. I cut everything as authentically as possible. It is important to have the correct undergarments to create the correct silhouette and silhouette is everything. I cut using original pattern shapes but use modern base fabrics such as cotton or fine drill for the bodices and silk organza for the skirts if required, depending on the fabric chosen by the designer. 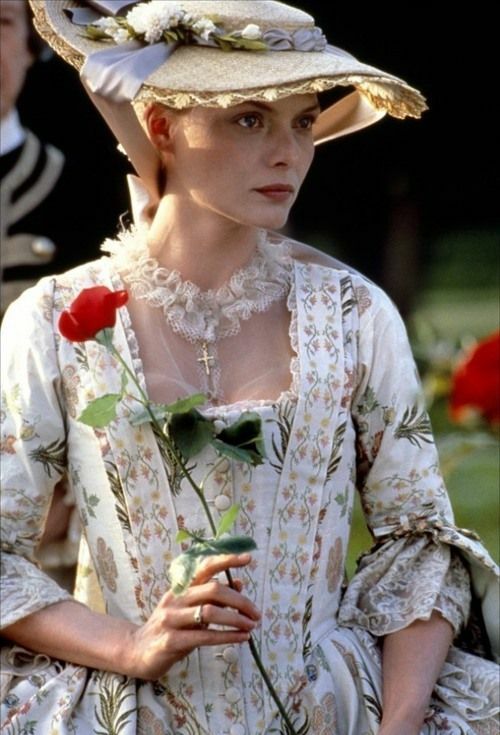 What was your favorite gown in Dangerous Liaisons? “The cream-embroidered brocade sackback Michelle Pfeiffer wears while collecting flowers in the garden. The fabric was hand woven in Italy and was phenomenally expensive; it was cheaper to fly a buyer over to buy it in Italy than to order it in the UK. Oh dear! That’s not nearly enough for damaging that beautiful gown. What is your favorite part of dressmaking? “As a professional “period costumier” I don’t like the term dressmaker. It gives the impression that I work in a little room in the garden. Don’t get me wrong as I love sewing in my garden but to the general public a dressmaker is not a skilled profession. I prefer the term “couture period costumier”. I am aware that in the USA this title has a different meaning. A costumier is a dresser in the US. In the UK, we work directly with the designer to model, drape, cut, build, make, fit, trim and finish. In the UK a costumier mostly works on their own and is not part of a big costume house as they are in the USA. We work on a one to one basis with the designer and artist from start to finish. What advice would you give to the casual historical costumer? I would say practise modelling on the stand. You must have the appropriate undergarments to create the silhouette. Study the period you want to create, study the patterns, and most of all make sure your corset and bodice patterns are cut on the correct grain of the fabric. To this day I still study the different cuts of bodice and skirts research for things I have not seen before. You mention pattern books – what are your favorites? 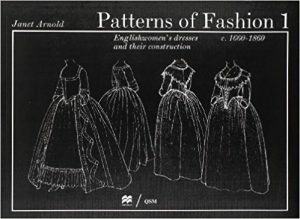 The pattern book I use a lot is Janet Arnold’s Patterns of Fashion but you have to remember these are patterned from original costumes and we are not the same shape as the ladies of that time so don’t follow the measurements verbatim. They won’t fit, so use the shapes and follow the grain lines. Nancy Bradfield’s book Costume in Detail is extremely helpful. I also use my old mentor Jean Hunnisett’s books – Period Costumes for Stage & Screen. Jean’s books were based on her experience in film and theatre but the patterns are based on original shapes. I highly recommended them.